Princeton Jct NJ, November 9, 2010 – American Dystonia Society (ADS) celebrates the first anniversary of its existence this week. Founded a year ago this week, ADS set out to prove that a group of people with dystonia – a debilitating, neurological movement disorder that causes severe uncontrollable muscle spasms that can result in extreme pain and disability – can operate a non-profit foundation that would have no paid directors or physical office space and be able to funnel at least 80% of all donations towards dystonia awareness, advocacy, and research. On the week of its first anniversary, ADS is pleased to announce that it has surpassed all its goals and, starting with this anouncement, guarantees that 100% of all donations will go toward its dystonia programs. It is a bold declaration for a one year old non-profit foundation but its use of 21st century technology and an all-volunteer staff enables ADS to operate on a razor thin overhead. This small amount will be funded by its directors ensuring that 100% of all other donations will be channeled to dystonia activities. Whether it is a $1 or $100,000 donation, no part of it will go to compensation, office leases, fundraising activities, or other overhead. If we need $150,000 to fund a research project, we need only to raise $150,000 not $200,000 or $450,000. That is a promise ADS intends to keep until it becomes so large and it becomes necessary to hire professional staff to manage the foundation. When that becomes a welcome need, ADS pledges that any compensation for staff will be capped at 5% of donations. 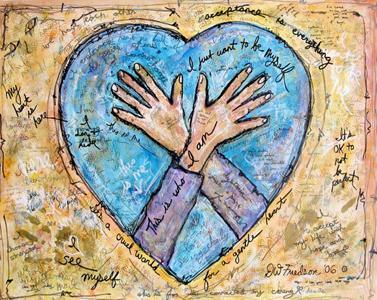 In its first year, ADS has build a solid support base of dedicated people with dystonia and their loved ones. In return, ADS has provided a social networking site dedicated to its supporters. ADS does not require membership nor does it charge membership dues. 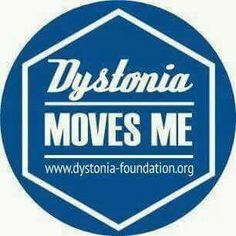 Having dystonia or a loved one with this debilitating disorder makes anyone a lifetime member of the society. Its supporters have helped build ADS into a true society by providing support and caring for each other. ADS has provided a positive nurturing supportive and informative environment for members of its two social networking sites. In less than a year, ADS has already awarded a travel scholarship for a young researcher to attend the Dystonia Coalition science meeting. ADS has given away a significant number of books on coping with dystonia. ADS has distributed thousands of awareness cards and hundreds of reminder bracelets to promote awareness. American Dystonia Society is a 501c3 non profit corporation that, within a year, has been registered with Guidestar and Great NonProfits. ADS has also been accepted for listing as a dystonia resource by the National Institute of Health (NIH)and the National Institute of Neurological Disorders and Stroke (NINDS) as well as Neurology Now magazine. ADS is proud to have received recognition by these organizations before it was even a year old. 2011 brings new excitement as ADS marks the 100th anniversary of the first dystonia diagnosis with two major efforts: “Do It For Dystonia” to raise awareness and “The Dystonia Project” to help build up the research database and fund promising research for dystonia. I’m attending the ADS for quite a while and has been very good to find people with the same problem as well as having support to overcome difficulties with this disease. I also participate in another community called WEGOHEALTH longest.